I spent a day recently with one of my closest and dearest friends. He was for many years a member of this church. Now he lives in another part of the country. But our friendship has not diminished. We meet maybe half a dozen times a year – at conferences, at committee meetings, or from time to time in one another’s home. And we talk. 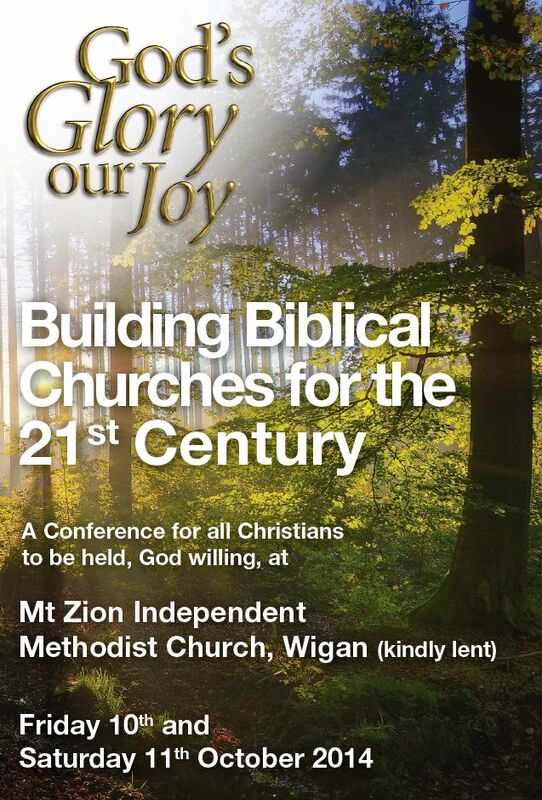 This year the conference will be held on Friday 10th & Saturday 11th October at Mount Zion Independent Methodist Church, Enfield Street, Wigan, WN5 9DJ. The man who follows the path of unrepented sin goes deeper and deeper into folly and wickedness. Judas came to the stage where there was nothing he would not do. Calmly, deliberately, he betrayed the Son of Man with a kiss.